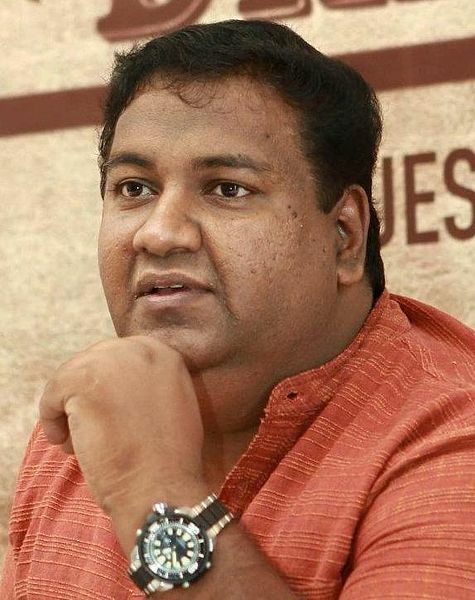 Malayalam Director Rajesh Pillai died at the age 41, on Saturday at a private hospital in Kochi, according to a reports. The 42-year-old director was suffering from a liver problem and had been on ventilator support since Friday. Rajesh Pillai was one of the directors who has the real passion towards the cinema. And he delivers always good in industry. In the short span of his filmmaking career extends 11 years with 5 movies includes the Hindi remake of malayalam biggie success “Traffic”. His first Movie was on 2005, “Hridayathil Sookshikkan” written by Kalavoor Ravikumar, Kunchacko Boban, Bhavana, Nithya Das, Bhanupriya and Siddique appeared in the lead roles. The plot was loosely based on the 2000 American film “Meet the Parents”. IAnd become bit flop in box office. But later we saw the comeback of “Rajesh Pillai” by making critically acclaimed as well as box office superhit “Traffic”. It's a thriller film written by brothers Bobby and Sanjay. The film features an ensemble cast consisting of Sreenivasan, Rahman, Kunchako Boban, Anoop Menon, Vineeth Sreenivasan, Sandhya, Roma, Remya Nambeesan and Asif Ali. The film has its narrative in a hyperlink format. The film opened on 7 January 2011, to a positive reception. It is widely regarded as one of the defining movies of the Malayalam New Wave. A multi-narrative thriller that intertwines multiple stories around one particular incident, Traffic is inspired from an actual event that happened in Chennai. Owing to its critical and commercial success, Traffic was remade into Tamil as Chennaiyil Oru Naal, in Kannada as Crazy Star and to be remade in Hindi cinema. This was also the last film of the veteran actor Jose Prakash. It won several awards and millions of heart. Later 2015 he came again with another superhit “Mili”, Described as a "heroine-centric motivational film," Mili has Amala Paul in the title role along with Nivin Pauly as male lead. The film, produced by Dr. Avinash Unnithan & Sathish B. Sathish under Ordinary Films, marks the debut of editor Mahesh Narayanan as scriptwriter. The story revolves around an introvert girl who struggles hard to meet others' expectations. Shamna Kasim, Sanusha, Praveena, Sai Kumar and Amol Parashar appear in significant roles. And at last he made “Vettah”, the one which is getting positive reviews around the critics as well as general viewers. A well-crafted, unique psychological thriller, with some exceptional performances. And without knowing the success of his last movie Rajesh pillai, died on 27 February 2016, around 11:40 am at PVS Hospital, Kochi by Suffering from liver cirrhosis.